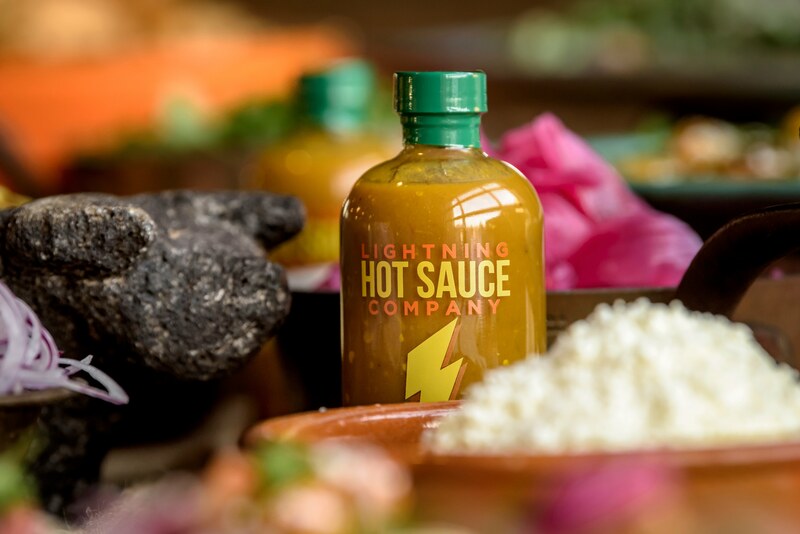 Lightning Hot Sauce Company’s HABANERO is designed to add flavor and kick to every meal. It is a habanero based, west indian style hot sauce with a bright lime and mango flavor profile that is made using only quality, whole ingredients, completely from scratch. We do not use shakers, powders, cans or chemicals. Our sauce is all natural with a shelf life of over 2 years, without using any artificial preservatives. It strikes with just a dab and the flavor rolls out like thunder.